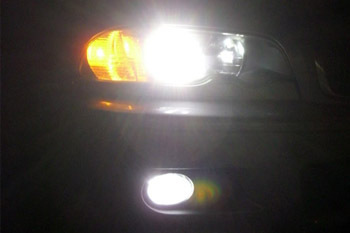 We offer two options in fog light replacement bulbs, the xenonmatch and yellow Endurance. If your goal is to match your HID low beams choose the xenonmatch bulbs. The Höen xenonmatch features industry leading quality, luminosity and generates Kelvin grades (color) on par with your factory low beam HID lights. If you frequently drive in rain, snow, fog and want added visibility to oncoming traffic we suggest the Endurance bulbs with their deep yellow light output. All bulbs are sold in pairs and use the same wattage as your factory bulbs. We do not recommend higher powered bulbs used in fog light applications. Designed to match your factory HID low beams and the Höen family of low / high beam bulbs. 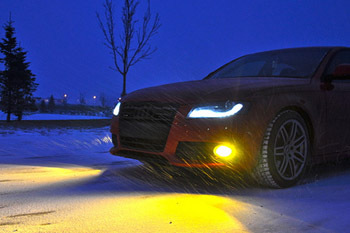 Produces a deep yellow light output for added visibility in snow, sleet, rain and fog.